According to the recent literature, primary mucinous ovarian tumours are just 3% of all primary ovarian carcinomas . 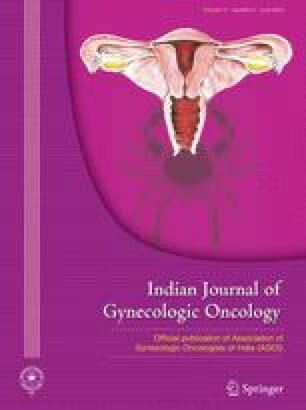 Primary gall bladder cancer metastasizing to ovary is infrequent and reported to be a meagre 6% and only few cases are reported . As gall bladder carcinoma also has mucinous histology subtype, it becomes a diagnostic challenge to differentiate the primary ovarian cancer from secondary when synchronous tumours are diagnosed . Furthermore, what precludes clinicians from an accurate diagnosis is the similar clinical non-specific symptoms, signs, similar findings on imaging studies and tumour markers. It is important to differentiate the two malignancies, as the management and prognosis are different for both. We present a case of gall bladder carcinoma which presented as primary ovarian tumour, the diagnostic dilemma of which was resolved with immunohistochemistry. Informed consent was obtained from the patient before sending for publication.